The question reverberated in the back of psyche as my eyes explored written words on the screen in front of me. Indy Star reported today that the man, who is a suspect in the case of the Hovey Street Slayings, as they’ve come to be known, is expected to plead guilty to murdering 2 adults and 2 children back in 2008. I don’t think that I am above or better than our justice system so do not write with an arrogance or anger, more out of curiosity and self reflection. His partner in the botched robbery says that he watched Davis (Ronald) gun down the family. Not sure what the definition of botched robbery is exactly, but it implies a robbery gone wrong. Weed and cash were the focus of their breaking and entering at the time. 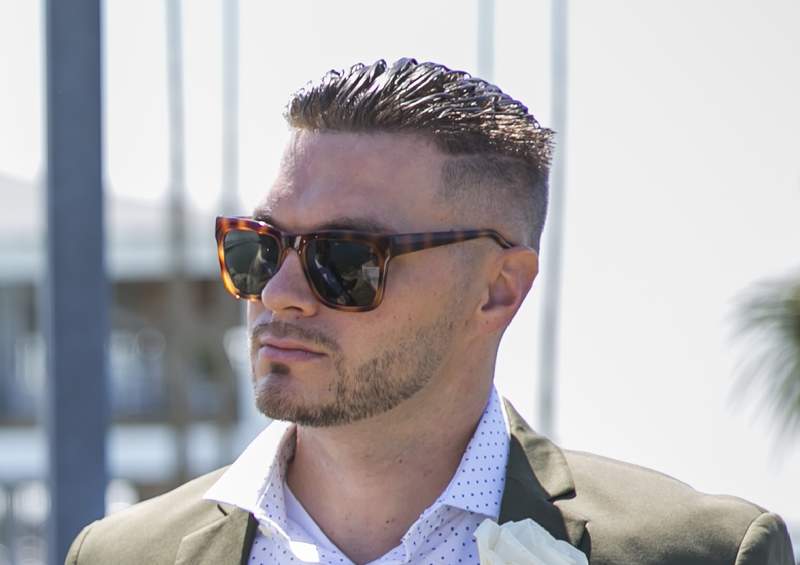 My question lies beyond the robbery aspect of the case and more so how a man switches from desiring weed and cash to killing four innocent people, 2 mothers and 2 children under the age of 2. I can see maybe popping off and going out of control and shooting one person maybe, but the idea that he killed 4 people in the same moment is outrageous to me. My candid response to hearing about the story is a thirst for blood and a craving for retributive death. My emotions are soon overridden by a logical sense and moral identity. 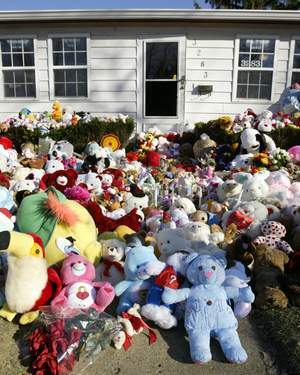 The scene above is neighbors’ response to the slayings, leaving stuffed animals at the doorstep. The neighborhood and city were overwhelmed by this crime. Emotions surely ran and run high and mighty reacting to a certainly evil act. I have to wonder if many contributors of the huge display of stuffed animals ask themselves what justice is. Is it just for a man who admits guilt to receive lesser consequences? I suppose to biggest risk is not being able to prove beyond any doubt that Davis did murder these four lives and getting off with no consequences. Justice seems to be a large gamble in this capacity. Is it acceptable to allow this man to sit in prison, although rough, with a decent life? He will enjoy air conditioned facilities, balanced meals, a library, fitness facilities, and access to media. My emotions say that justice would be to cut his life short as he did the four victims, but my logic questions even that. I just sit here, speechless, looking at his picture wondering what justice is and depending on the definition, if it’s something I want in this case. Beyond this case justice can be pondered in all aspects of life. Do we consider justice always or only when activated by emotions? When I reflect on my emotional speculation I would like to say I would consider justice free of emotional ignition. I’d like to think I would be an advocate of justice in my world and environment. Am I willing to consider justice daily and allow my thoughts to be more than written words? Is justice something I’m willing to do? I’d like to say yes, but cases like this make me reconsider what I even think justice is and if I want it.